It was my first time in Costa Rica, a country I had dreamed of visiting. I was booked for a gig at the FIA 2014 (International Art Festival of San Jose) which is the biggest festival there, happening every two years. For the first time in history the festival presented a stage dedicated to electronic music, featuring artists from France. 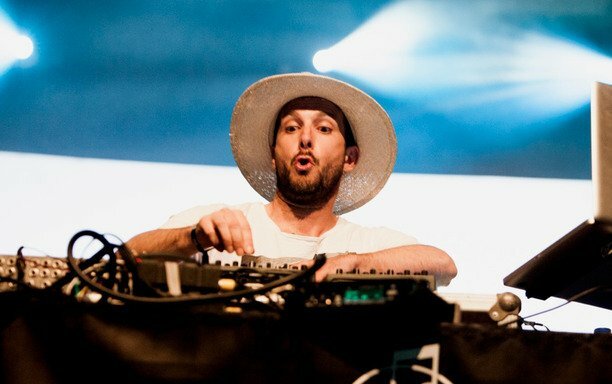 Esteban Howell, who is the man behind DJLAB and a very respected DJ in Costa Rica, helped the Festival by selecting the French artists. By chance Esteban checked some of the artists who played at official Sónar Festival last year and I was one of them (along with Sound Pellegrino, Bamboonoo, Hoosky, and others). 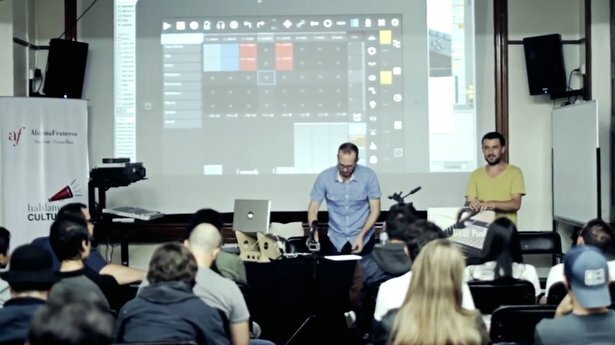 Once Esteban discovered that I was also a Certified Trainer and app designer (creator of touchAble), he organized a big series of events around Ableton Live and music production for me to lead. Sylvain performs as Le K at Sónar 2013. How does the scene in Costa Rica differ to what you’re used to in Paris? I’m really not a guy who sticks to a particular scene here in Europe, so I won’t compare by genre. I stayed and got enough involved in the Electronic music community in Costa Rica to get a good picture of it. First of all, it’s a small country, with only one big city, San José; most of the producers, DJs and clubs are located there. In terms of underground dance music, the city offers a few good venues where you can hear good local DJs or live acts, but one venue, Club Vertigo, overtakes the whole dance music thing by mixing up local artists with international names. Club Vertigo is one of the largest clubs in the heart of San José, and there you can hear all kinds of Electronic / Dance Music genres, in outstanding conditions: amazing sound system, beautiful rooms, and the DJ booth in the main room is unbelievable. A lot of local DJs play there, so in term of conditions is a very good opportunity for them, opportunities which can be a lot harder for local DJs to come by in Paris. Were there any especially interesting artists with whom you interacted while you were in Costa Rica? I have to say that I was very satisfied with the range of people who came to the workshops at DJLAB. Esteban Howell is a very talented DJ, and we share kind of the same approach to performing and to music in general. Felipe Loáiciga, who was my assistant during the courses, has a very cool project using sounds of nature from Costa Rica - and god knows what a paradise it is there for this kind of things! Andrés Cervilla was one of my students, a very talented trombonist. He came with his instrument once and we did a little session in front of the classroom showing the potential of parameters automations inside midi clips with external audio input - he couldn’t believe how far you could go with that one. Ramon Solis creates very interesting and personal tribal techno. José Pablo Murillo a very good photographer. “Deidades Marítimas Transcendentales” by Organism (Felipe Loáiciga). Do you adjust your training methods depending on where you are geographically? As far as I’m concerned, I don’t need to. Somehow that’s the beauty of globalization. I’ve never taught to a radically different culture group, though actually I can’t wait to experience that! I definitely have a personal approach with each student. I try to get as much information as possible on each student prior to the courses, in order to get the best overall picture of the class, and to be able to identify the best angle to customize certain aspects of the training with each of the students. For each student there is a different appropriate bundle of Live tools and features alongside the general common ones that all the students need to know. Geography doesn’t matter anymore in 99% of the cases.